It doesn’t matter if you’re a condo buyer or seller – understanding the 12 key factors that influence condo prices is essential to your success. The higher the interest rates the lower the prices. And the opposite is true as well – the lower the interest rates the higher the prices. Property taxes can have a huge impact on the condo market. If the municipal property taxes are high then this could make it harder to sell your condo. Buyers become a little standoffish if they are worried that they can’t keep the tax man happy. This mainly affects the investor side of the condo market. Tight and restrictive rent controls keep investors out of certain markets. Consumer confidence in the economy can make or break a real estate cycle. Naturally if the economy is good and most citizens feel positive about the current and future economic outlook condo buying and investor activity soars. As a region of the country or a particular city gains favor in the public eye and droves of people pour in to that area demand for housing climbs. This trend takes prices along with it bringing them higher and higher as living space then becomes limited. High vacancy rates reduce investor confidence due to that nagging feeling that they’ll never be able to find a tenant to occupy the unit. Highly desirable locations always fetch more than market averages. There’s only so much viable land that can be built on. Throw into the mix zoning restrictions, limits on development or land use laws and this will cause prices to rise. Perception is everything nowadays. And if people have the perceived notion that a certain neighborhood is a little sketchy it will not only influence the demand for housing in that area it will also influence the prices that condos go for in the region. Depending on the time of the year, the price for a condominium will either rise or fall. In the spring and summer months prices rise and condo units sell quickly. 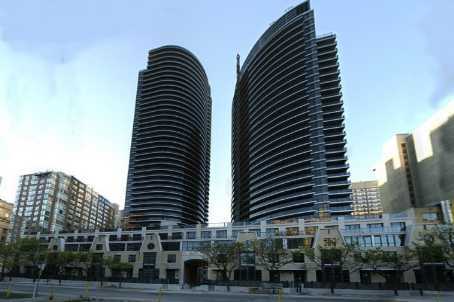 In the fall and winter months prices for condos drop and units stay on the market for longer. If you are looking to buy and you are not in a rush then try shopping for a condo from September to March. And if you are looking to sell try and list your property between April and August. The condo market and Real Estate as a whole is cyclical. The market shifts from too many units to not enough. Supply and demand kicks into effect. Figure out where the market is at. The Baby Boomers really impact everything. And Real Estate is no different. As more and more Boomers hit retirement they are going to be downsizing and the condo lifestyle is a logical and economical choice for them. Toronto condos are hot right now. And there are price points for everyone. Whether you’re looking for new Toronto condos or resale, there are options out there for you. Be sure to get clear on your budget, the neighborhood you want to be in and if the condo lifestyle is right for you.